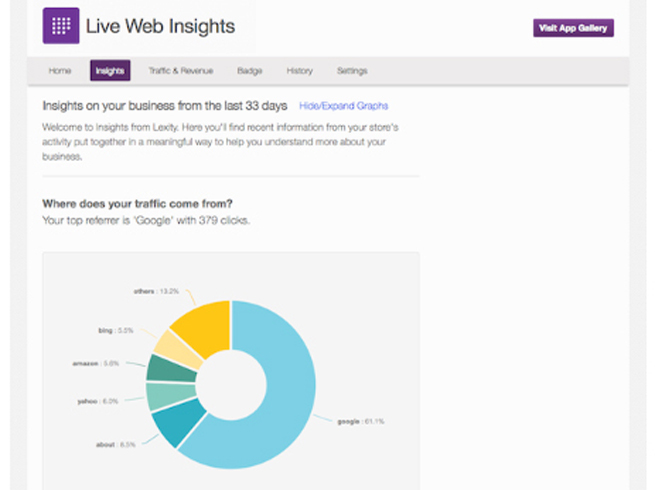 Live Web Insights is a free website traffic analysis tool designed for ecommerce, with real time visitor tracking and much more. Other tools like Google Analytics can take hours to process data, too late for you to react. 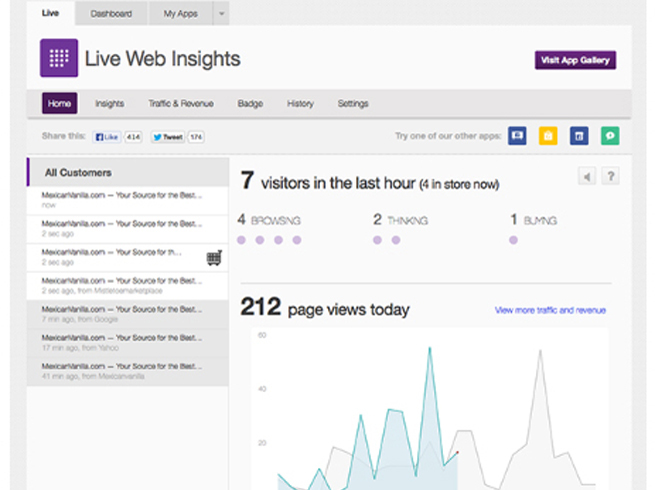 With Live Web Insights, real time information about current site visitors lets you watch your customers browse your website and go from checkout to purchase, all as it happens. 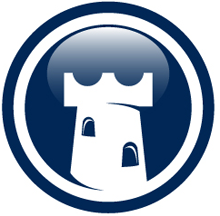 Increase your conversions and customer satisfaction. With one click, start chatting with any visitor on your site instantly. Find out your top keywords, top referring sites, and more at a glance. 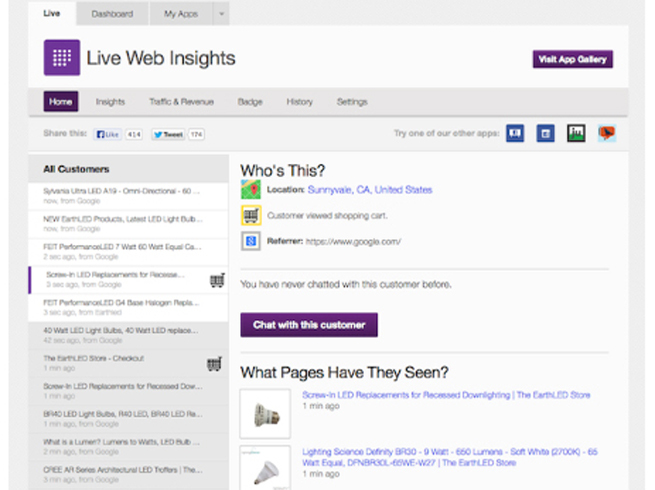 Live Web Insights automatically analyzes your store visit data and summarizes it into clear, simple takeaways so you get actionable marketing recommendations. 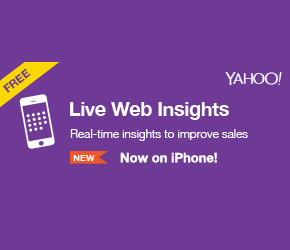 See where your sales are really coming from, with Live Web Insights Traffic and Revenue. 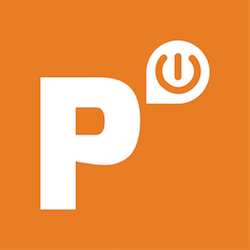 Includes mobile app so you can keep tabs on your store while on the go.